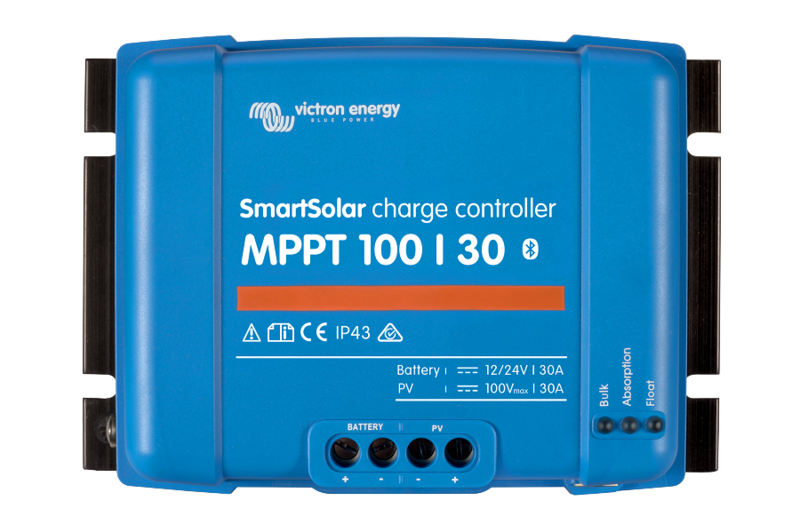 Check for Firmware updates especially the Important firmware update v1.37 for Victron SmartSolar Chargers . 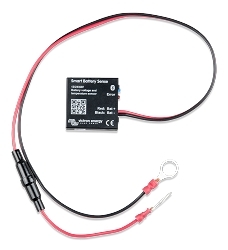 Q: Is it possible to connect a remote temperature sensor to this controller? I want to put it in a camper van and the batteries are located on the underside of the van. Q: 1. Default Float charge is 13.8, but adjustable. What is range of that adjustment? Can it go down to 13.4 volts? 2. 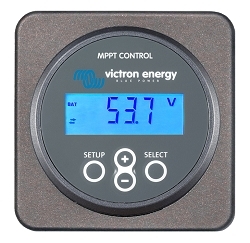 If temperature compensation is built in, does controller have to be next to batteries so it measures their temperature? 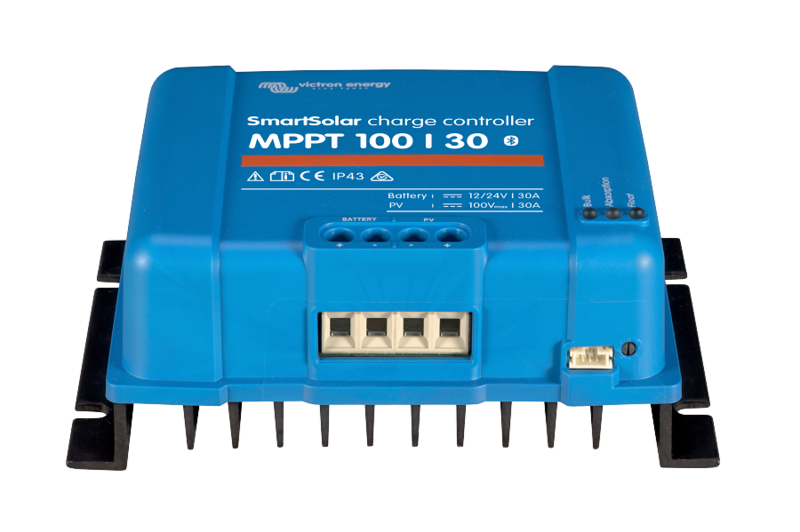 (Most controllers have wire sensor connected to battery terminal.) 3. Are there restrictions on mounting controller (e.g., must be vertical for cooling fins to work)? A: The float voltage is fully adjustable and can go to 13.4 volts and below. 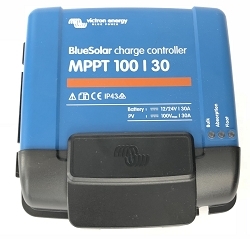 The temperature sensor is built in so it is intended that the charge controller be located adjacent to the batteries. It is intended that the controller be mounted upright for maximum cooling. Q: I am building a system with (4) 100 watt Renogy 12v 6.25a solar panels. The Victron 100/30 seems like a perfect match. 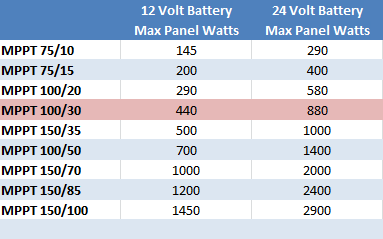 I am considering two battery options of (4) 12v AGM batteries of 100ah or 120ah, For a total of 400ah or 480ah. Would this charger would work well with either or both of these configurations?